This little project was totally inspired by Connor. 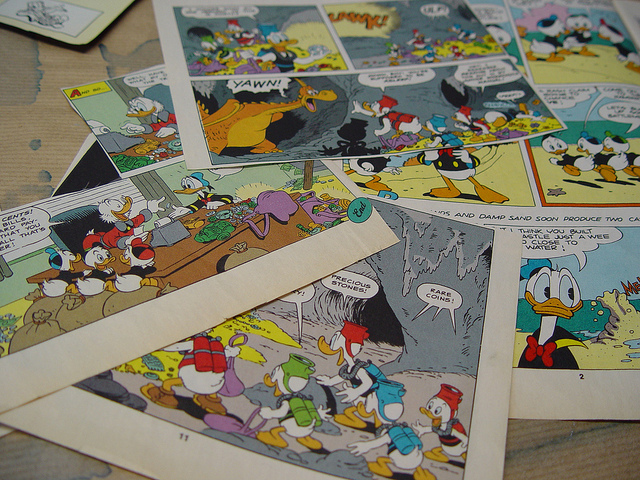 After all, when your six-year-old starts cutting up a comic book to save his favorite pictures, what else is there to do but turn it into something cool. 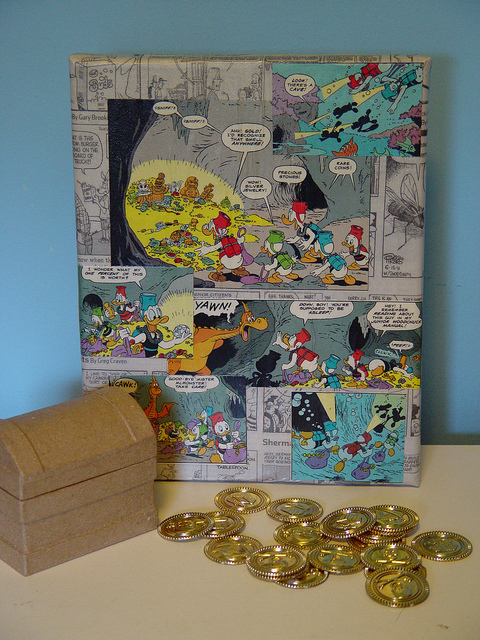 This is a really quick project that you can easily get your kids involved in. 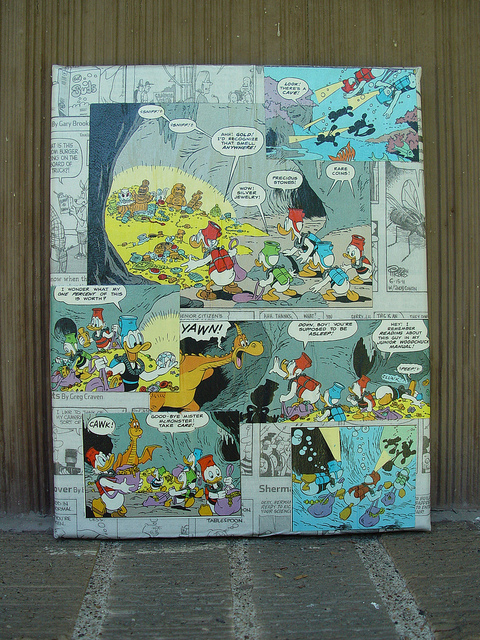 It’s a great upcycling project which reuses newsprint and those old comic books that are falling apart. Arrange them on the canvas to decide how you want it to look. 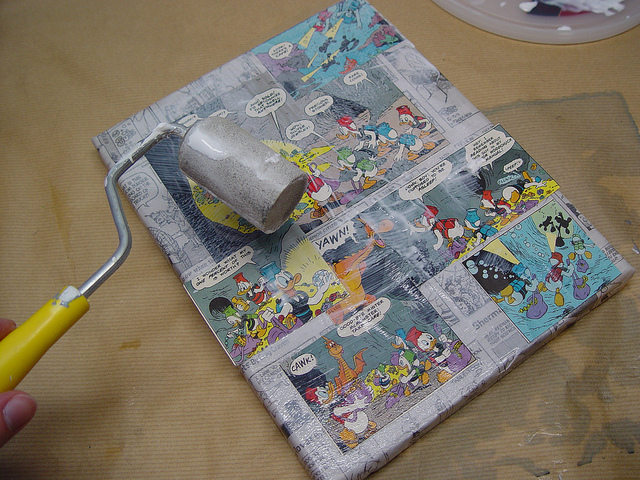 Set the comic book pictures aside and start laying down a layer of mod podge on your canvas. Get the sides covered too. I like using a small roller to lay down an even layer of mod podge – that way you don’t get brush strokes in your finished project! 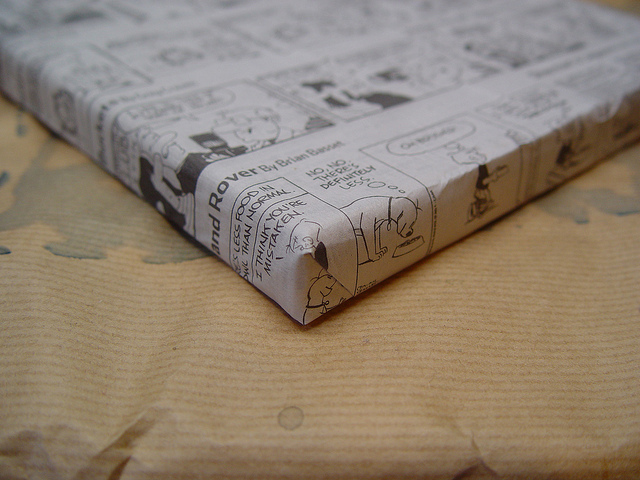 Lay down your newsprint on top, wrapping it around the sides and to the back of the canvas. 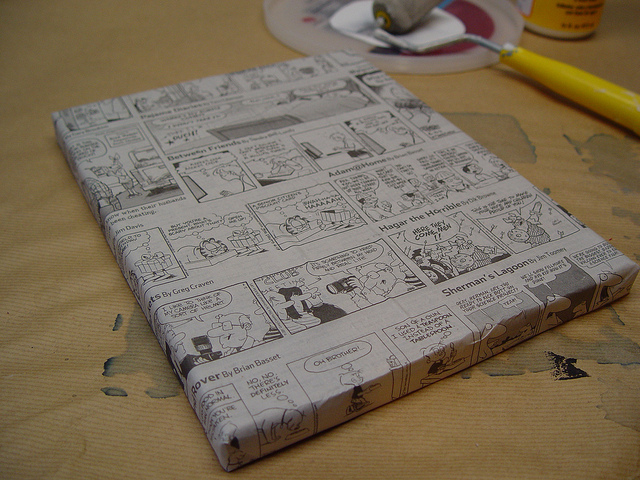 For the corners, just wrap it like you would a present. They’ll look really nice (like this). 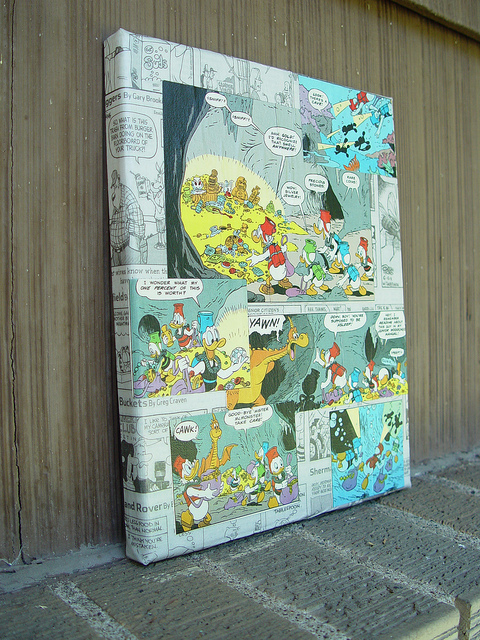 Add another layer of mod podge on the top and start arranging the comic book pictures. Add a layer of mod podge on top of that when you’re done. 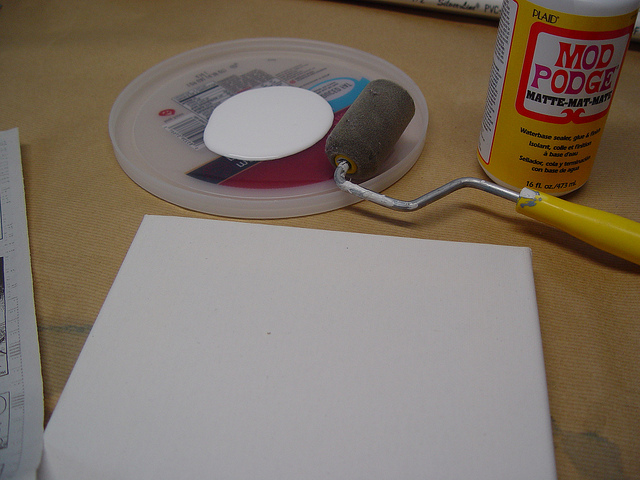 Smooth it out with your finger or brayer or a bone folder, if needed. Let dry completely. 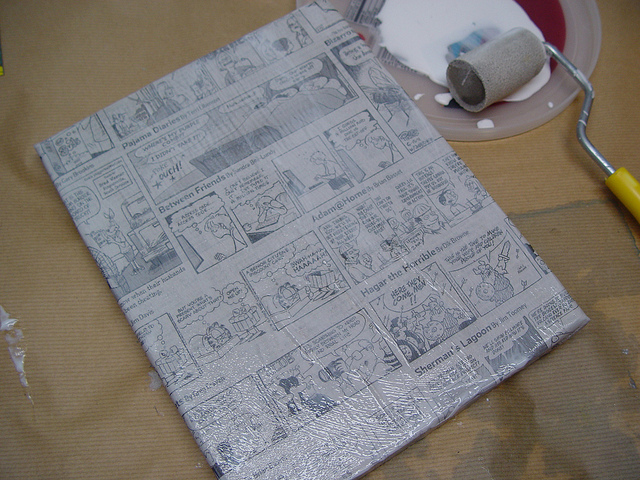 If you’d like you can add another layer of mod podge, to completely seal it in. And you’re done! Awesome, Vanessa! This is so fun and looks super easy – great job! Thanks for sharing the tutorial! love it..great idea. 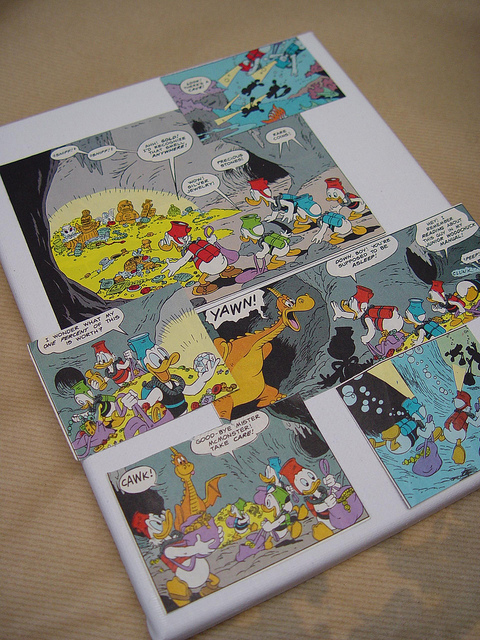 I am always a little stuck for art ideas for my sons room. What a cute idea for a kid’s room. This is so fun! 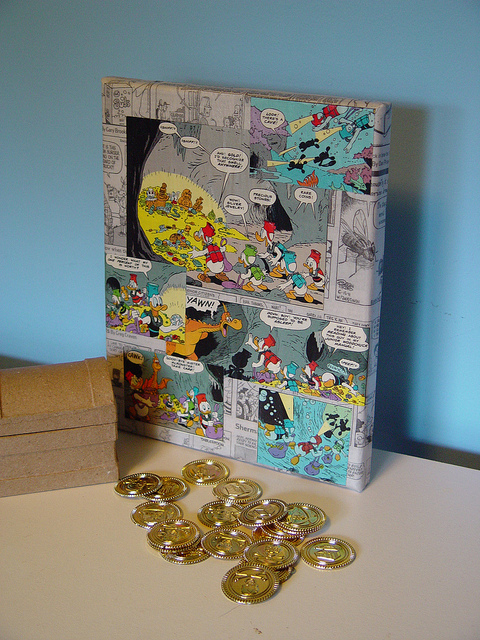 Great for a kid’s room – or a family game room! Cute idea for kid’s room decor! I know my kids love to use Mod Podge!